US Federal debt: In just 10 years, it has grown from about 60% of GDP to 104%. Consumer debt: Credit cards, auto loans and student loans (excluding mortgages) just hit $4 trillion. This is an all-time high, and was $3 trillion just five years ago. Student loans: Total student loan debt is now $1.6 trillion, an all-time high. Of particular concern is that this amount is now larger than the amount of junk mortgages in late 2007 (about $1 trillion). Further, default rates on student loans are already higher than mortgage default rates were in 2007. Corporate bonds: Over the last decade, the amount of corporate bonds outstanding has almost doubled, hitting $9 trillion. And nearly $2.5 trillion of that figure is rated BBB, nearly triple the amount of 2008. This includes stalwarts such as G.E., AT&T, Campbell Soup, Bayer, CVS Health, Sherwin-Williams, IBM, and Keurig Dr. Pepper. The particular concern here is that it can be more difficult to manage or bail out corporate debt than sovereign debt. China: China had about $2 trillion total debt in 2000. Today, it’s about $40 trillion, an increase of 2,000% in less than 20 years. The levels of debt reached in many areas of society are not realistically repayable, except in radically inflated currencies. Either way, any fallout from a debt event or crisis, or a return to QE efforts, would draw investors to gold. There are also factors within the gold market itself that bear watching. Mine depletion, geopolitical risks, start-up delays, and a lack of industry investment over the past several years all point to lower gold production levels going forward. 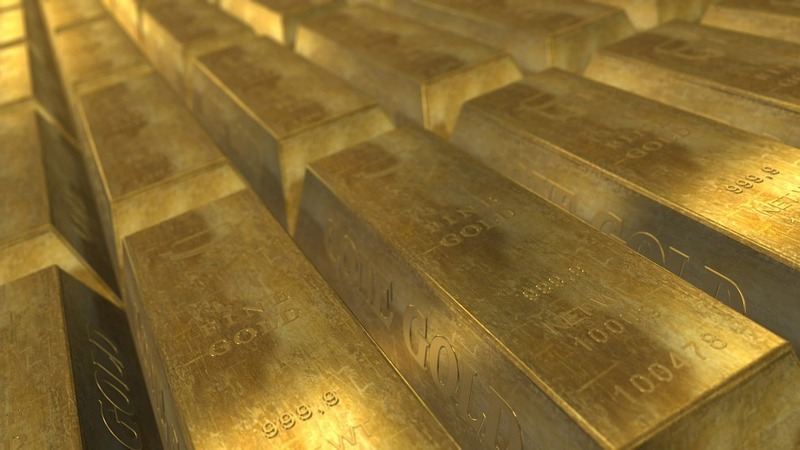 Pinched supplies of new gold stocks could impact the price. There’s a related concern for the mining industry: due to falling ore grades, production costs will likely never return to where they were a decade ago. Production costs ultimately serve as a floor for gold prices. 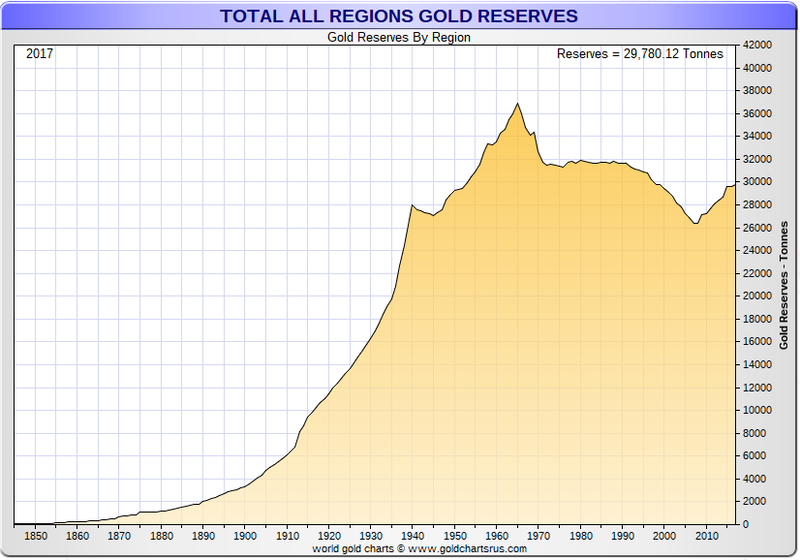 While central banks in North America and Western Europe are not adding to their gold reserves, strong demand continues to be seen from Asia, Russia, Eastern Europe, the Middle East, South America, and Africa. While retail demand for bullion hit an 11-year low in 2018, global fund holdings (including e-funds and depositories) remained buoyant. Investment is the biggest variable among all demand sources. According to a Legg Mason survey of over 16,000 investors globally, a growing percentage cited gold as the best investment opportunity over the next 12 months. Roughly a quarter of those polled in Germany, Italy, Switzerland and the UK identified gold as the best investment opportunity. In the UK gold was seen as better than equities, bonds, cash, and alternatives. As investment goes, so does the price. An appropriate balance of gold in a portfolio can serve as a useful hedge, particularly as we face ongoing risks in geopolitics, markets, currencies, debt, and interest rates.